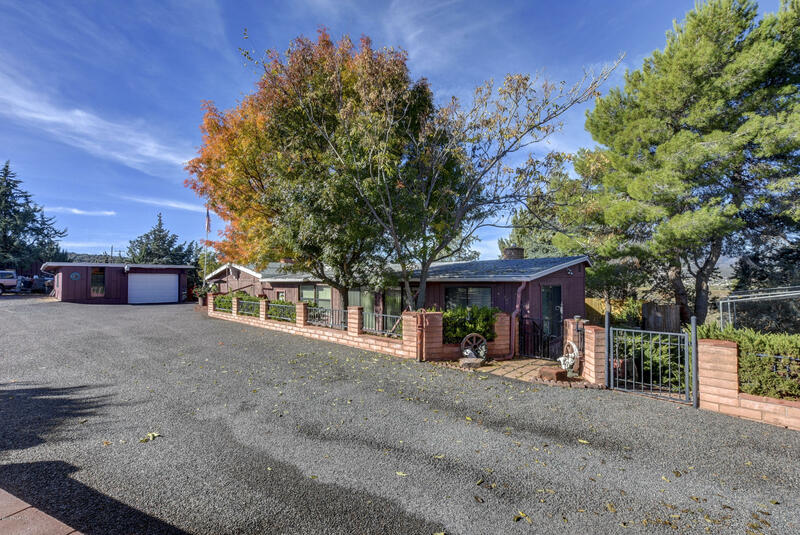 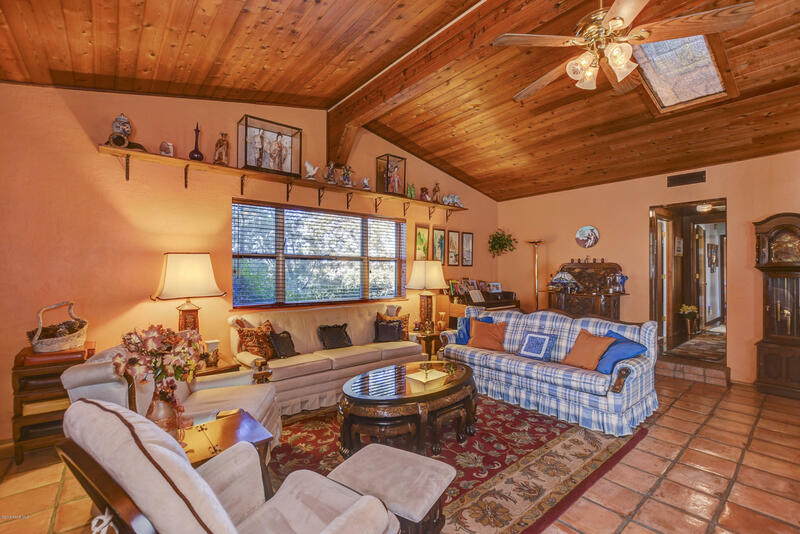 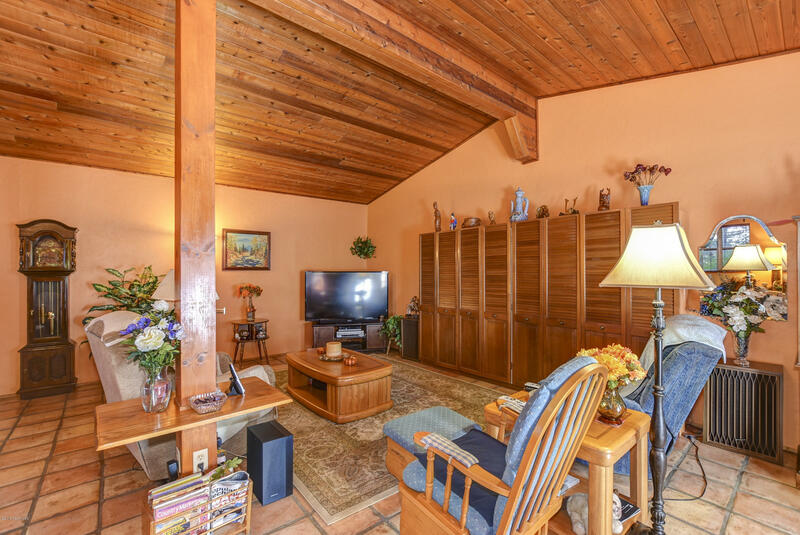 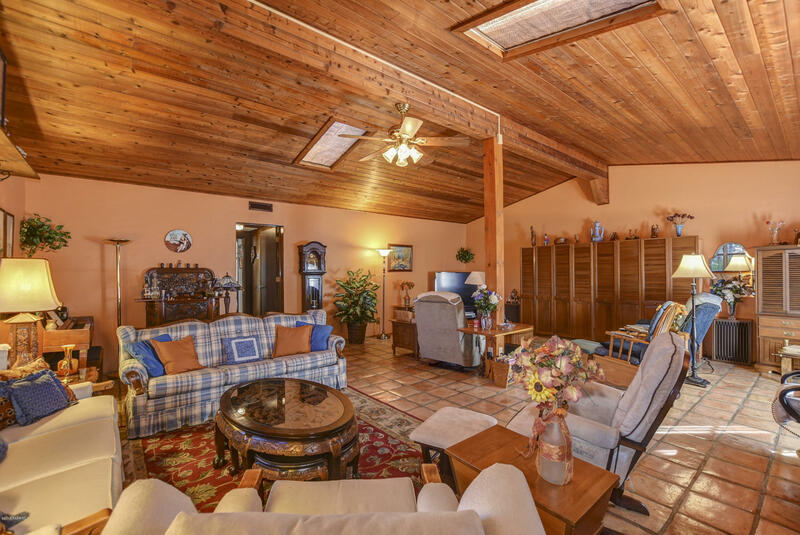 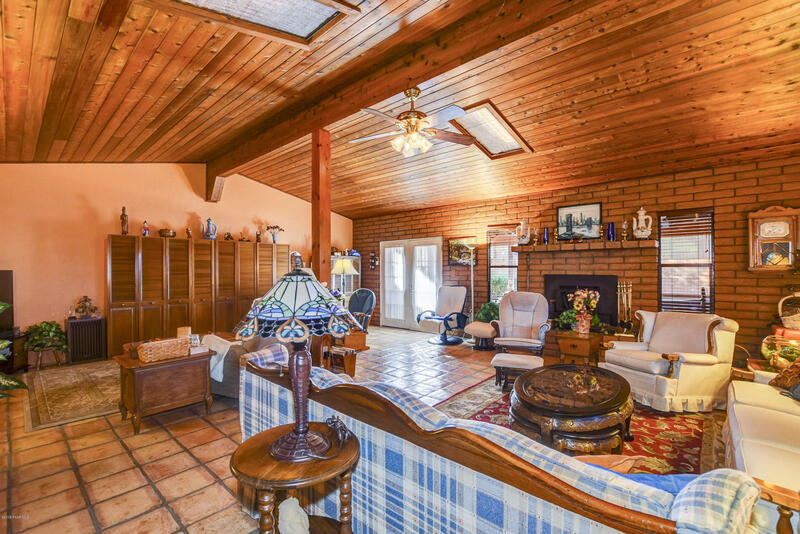 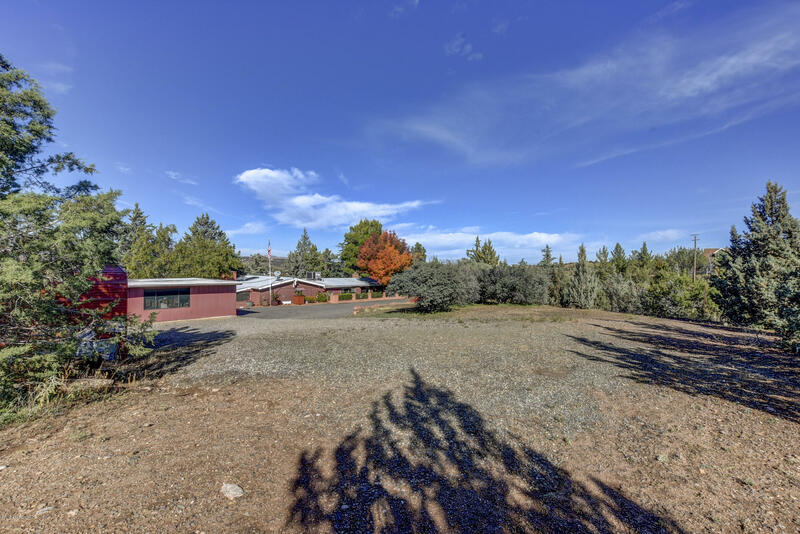 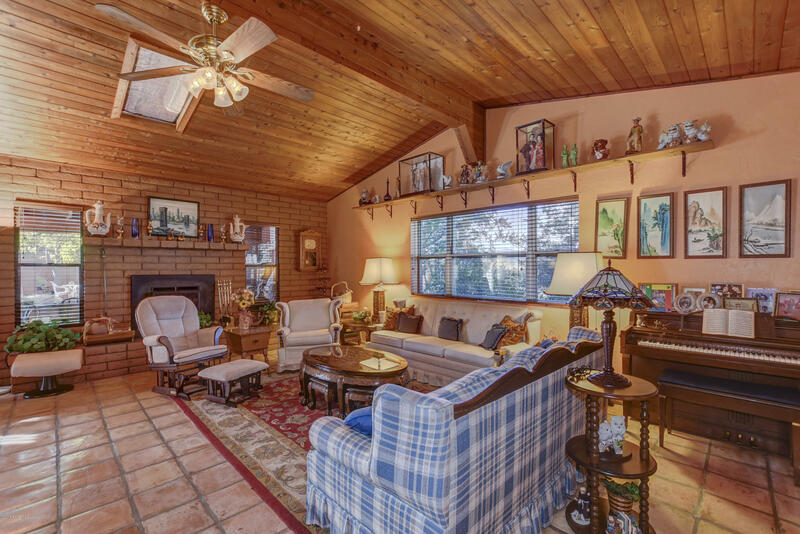 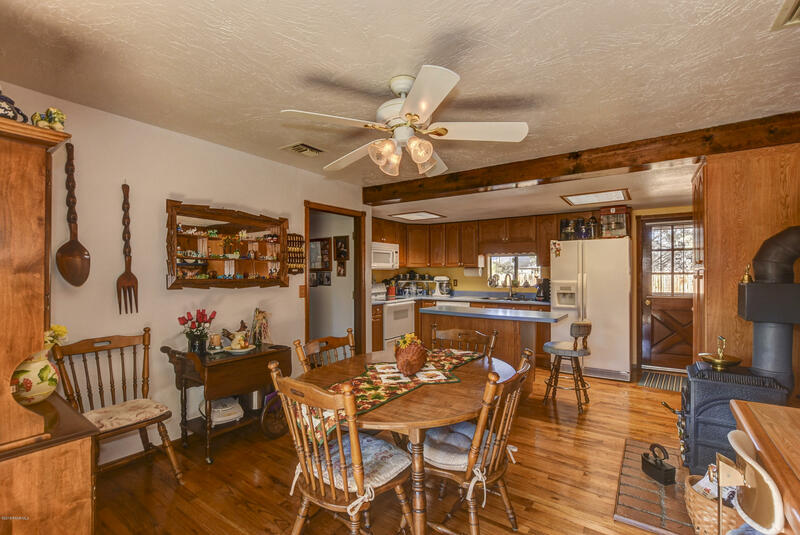 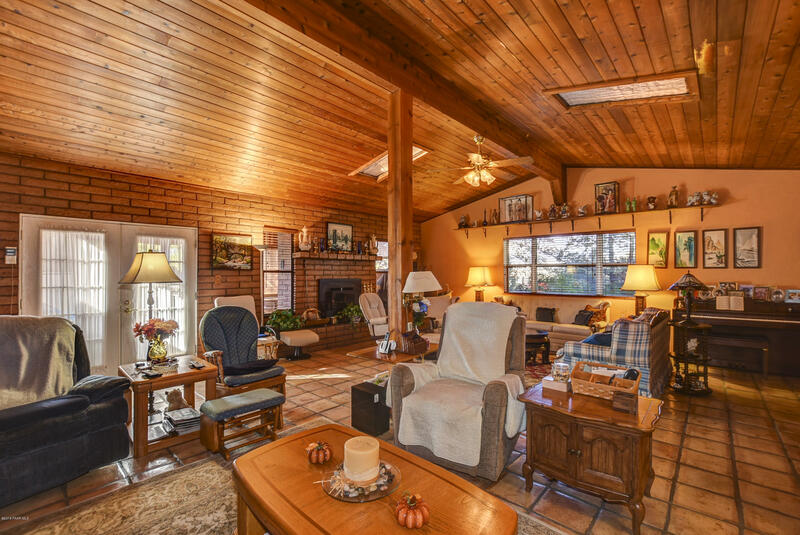 Charming home in the Dewey Foothills featuring a large family room with Saltillo-type tile and a fieldstone woodburning fireplace. 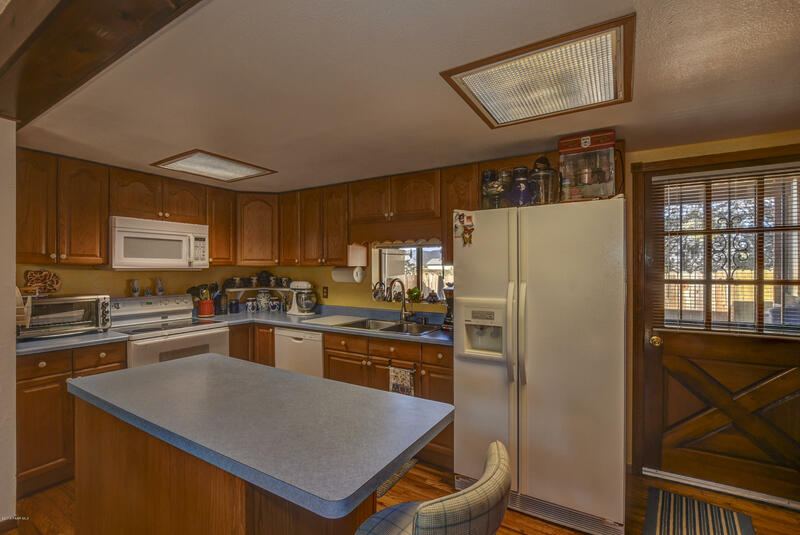 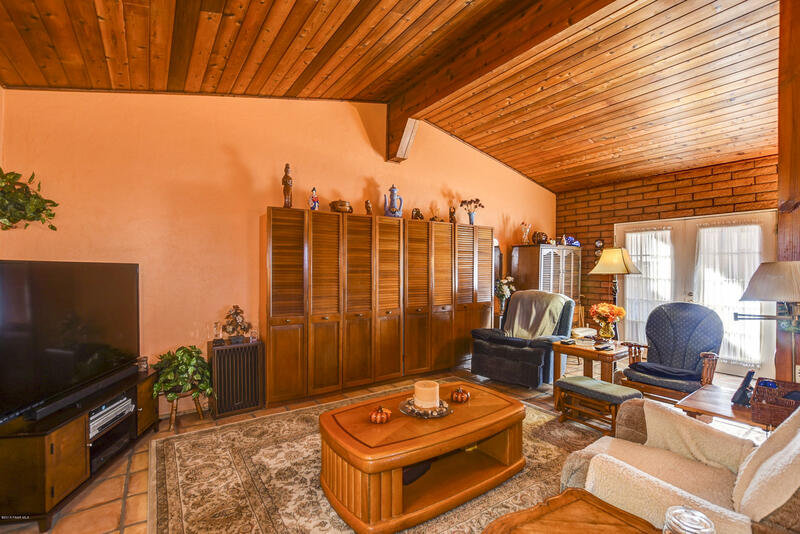 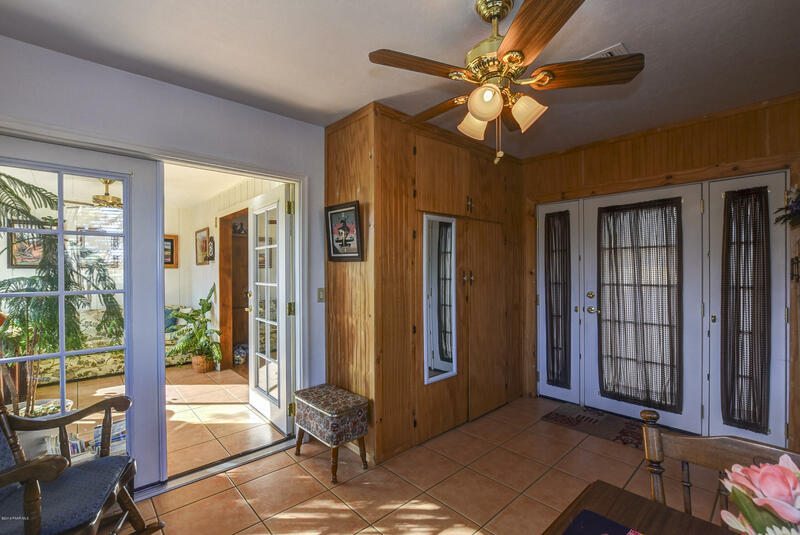 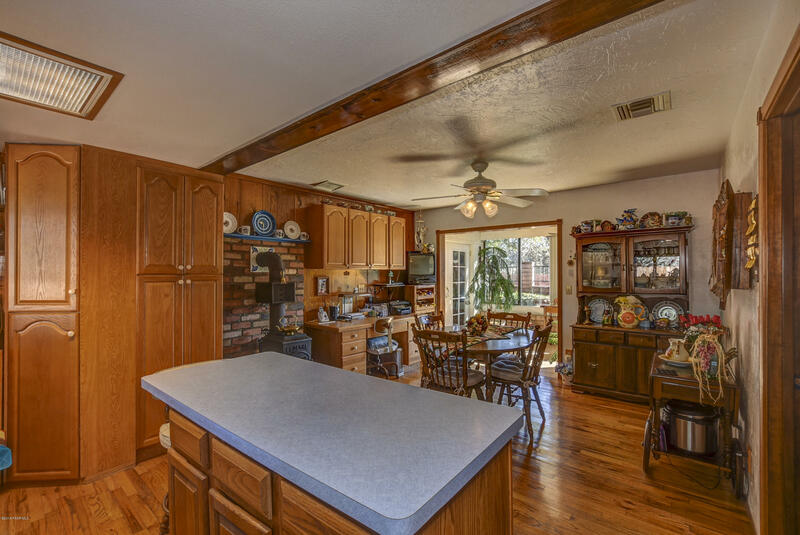 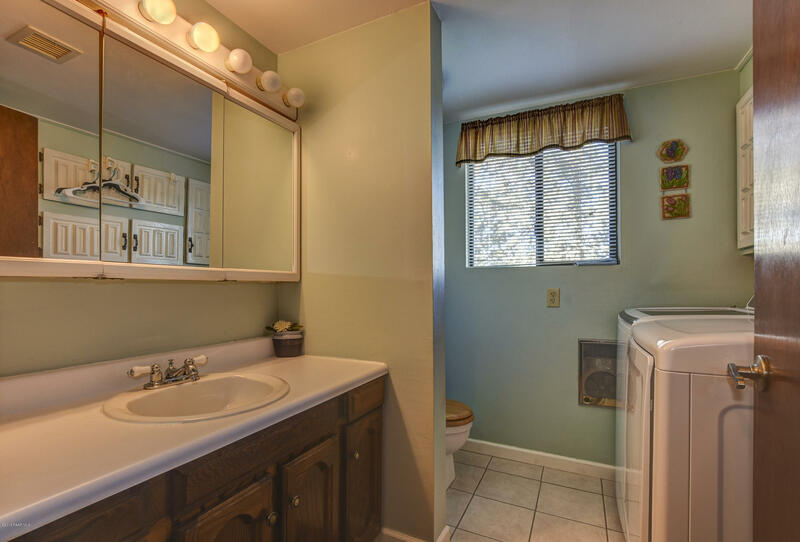 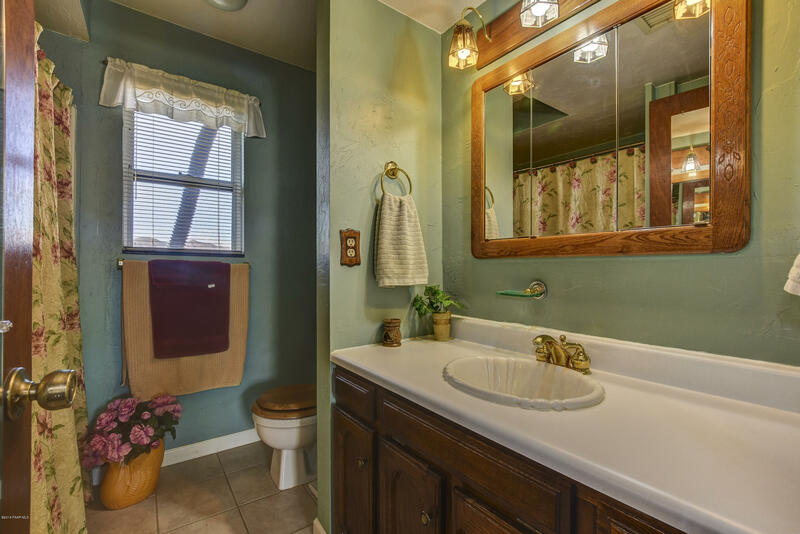 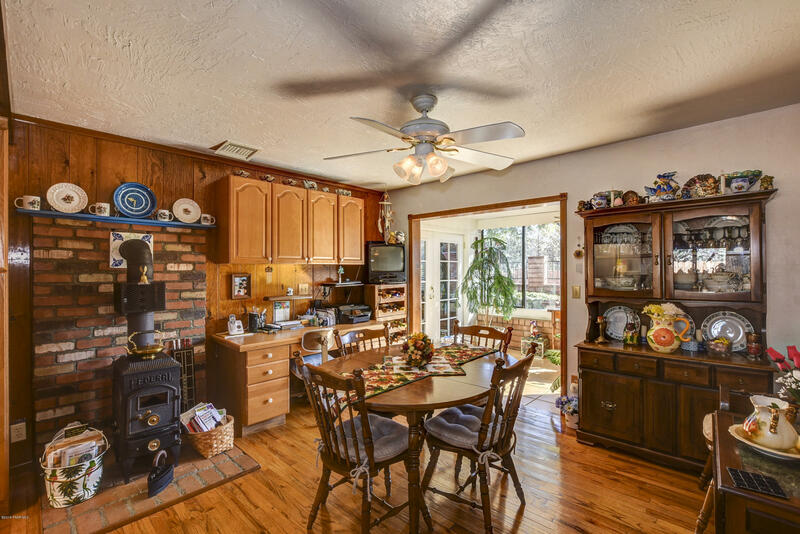 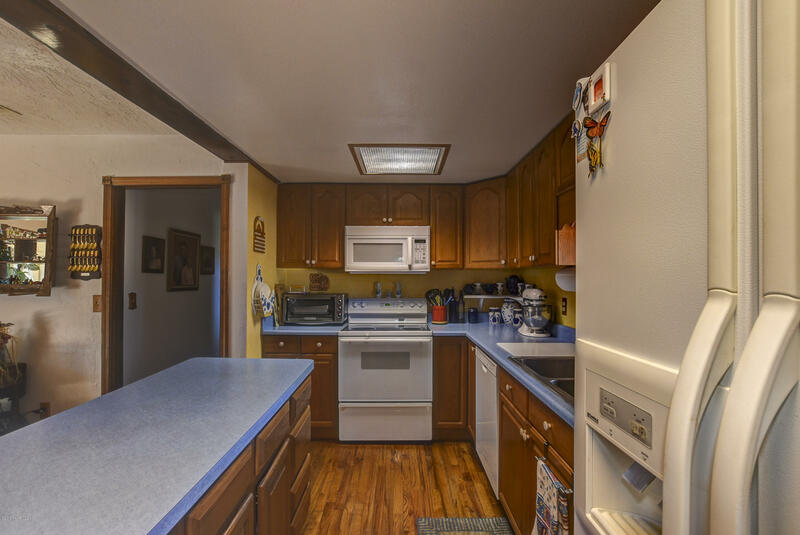 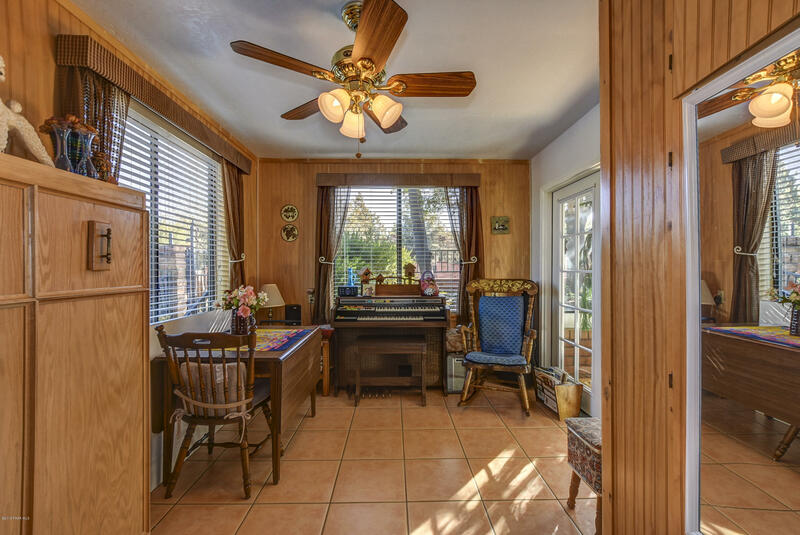 Real wood floors in kitchen & master bedroom; ceramic tile in enclosed porch and guest/sewing room. 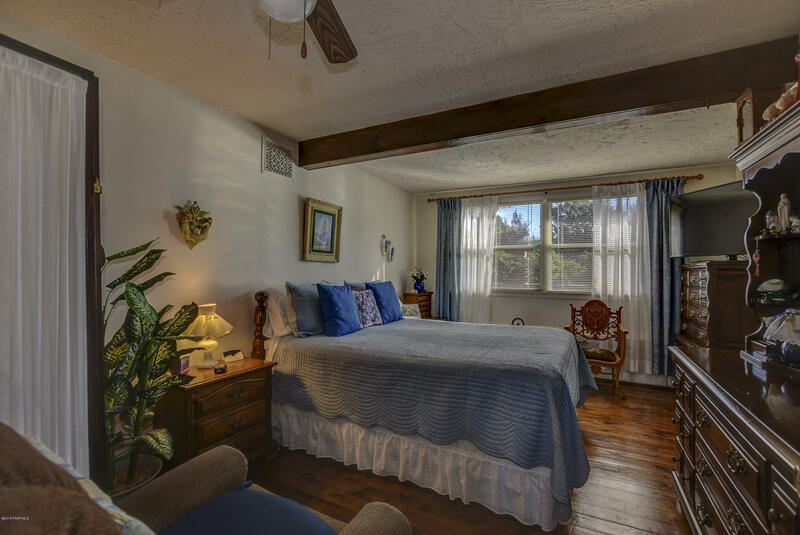 Guest room/sewing room has murphy bed that conveys and a custom built storage closet for sewing supplies. 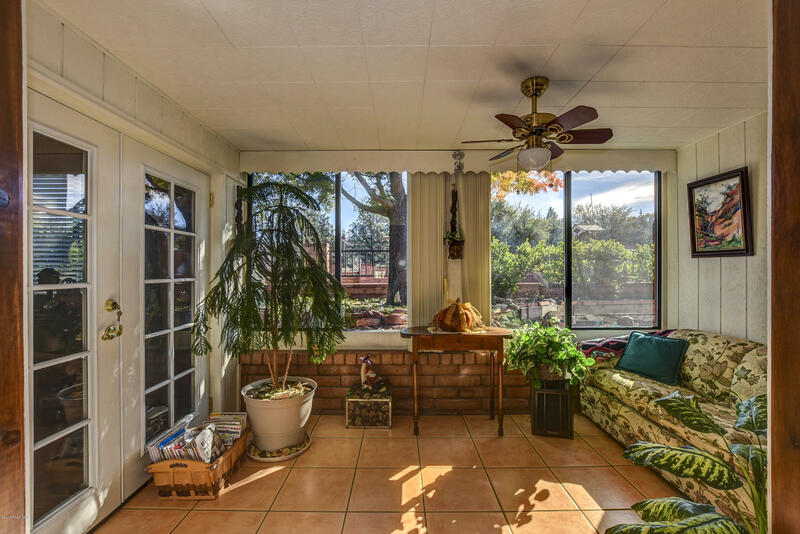 Cute sunroom with picture windows. 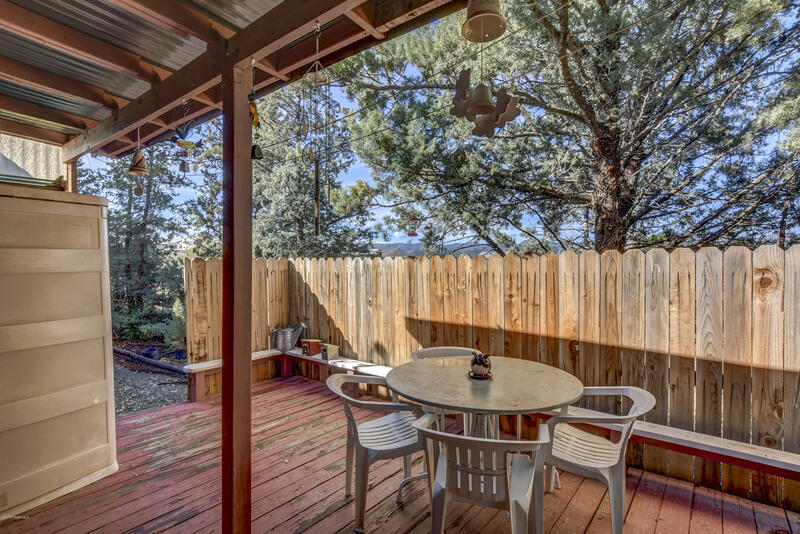 Views of the Bradshaw Mountains peek between the junipers & pines surrounding the property. 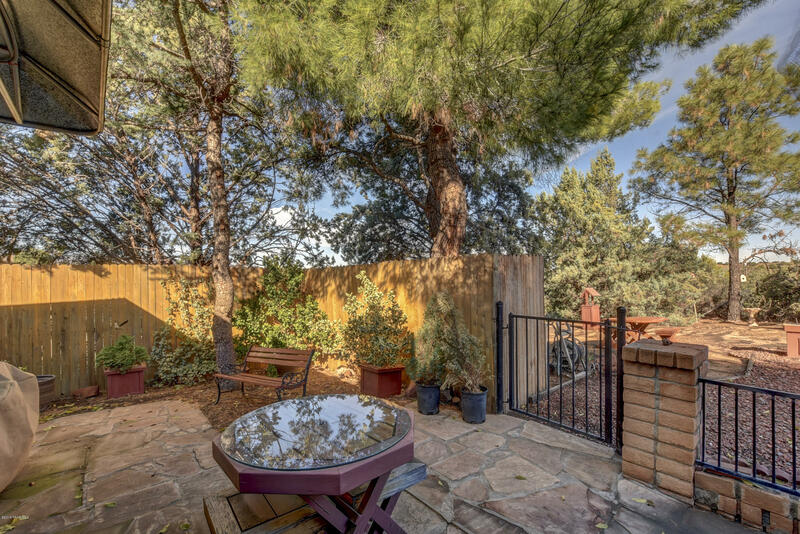 Combination of trees and privacy fencing give it a private, secluded feel. 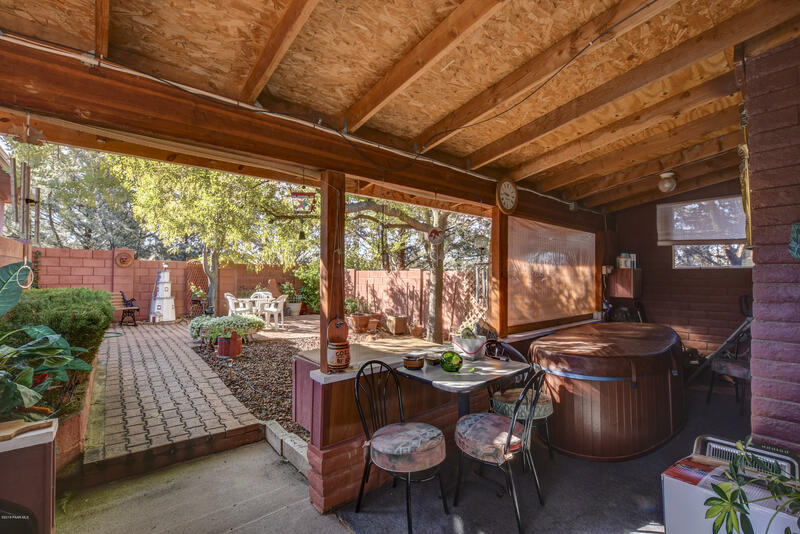 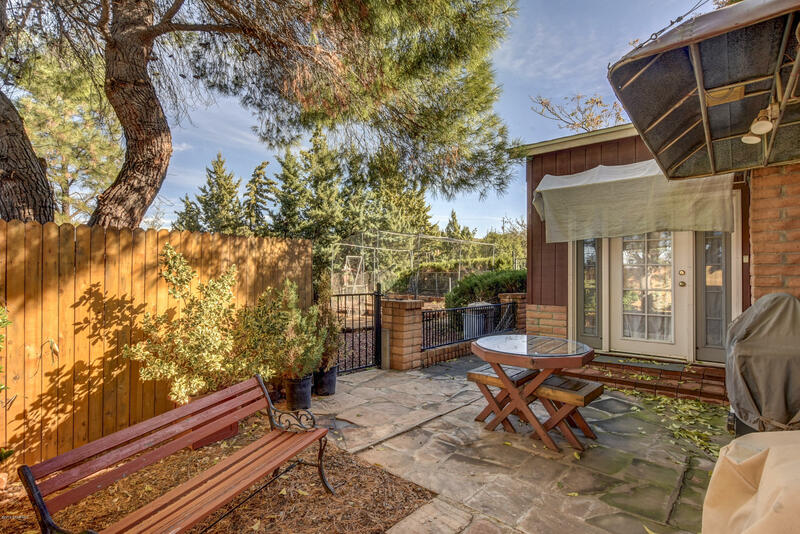 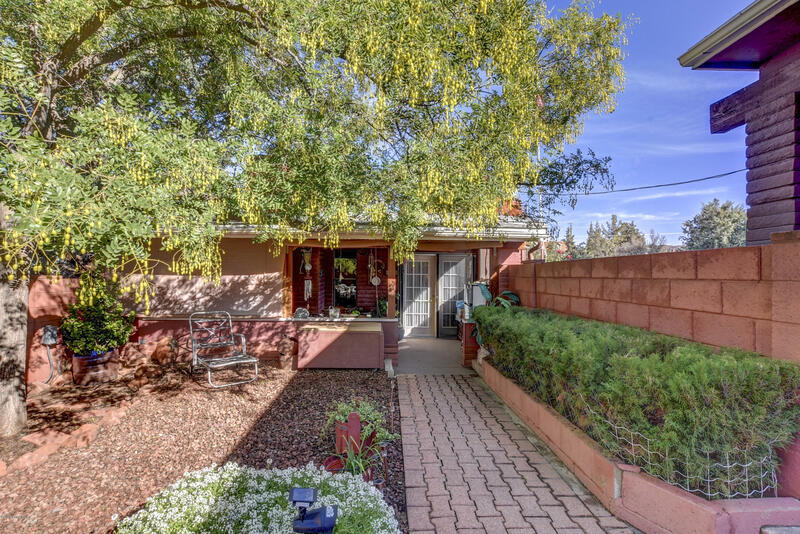 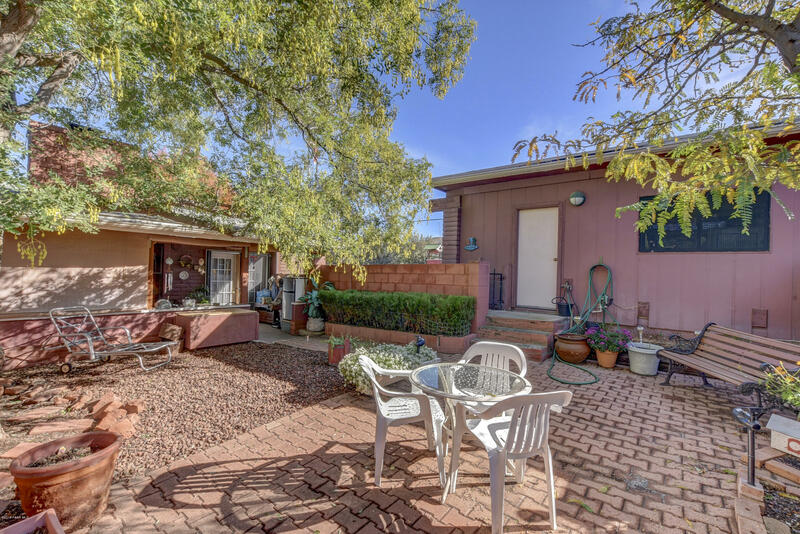 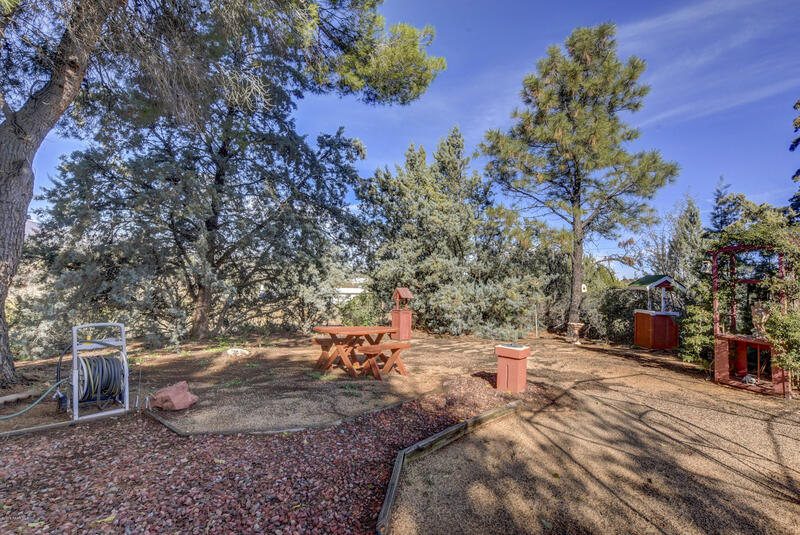 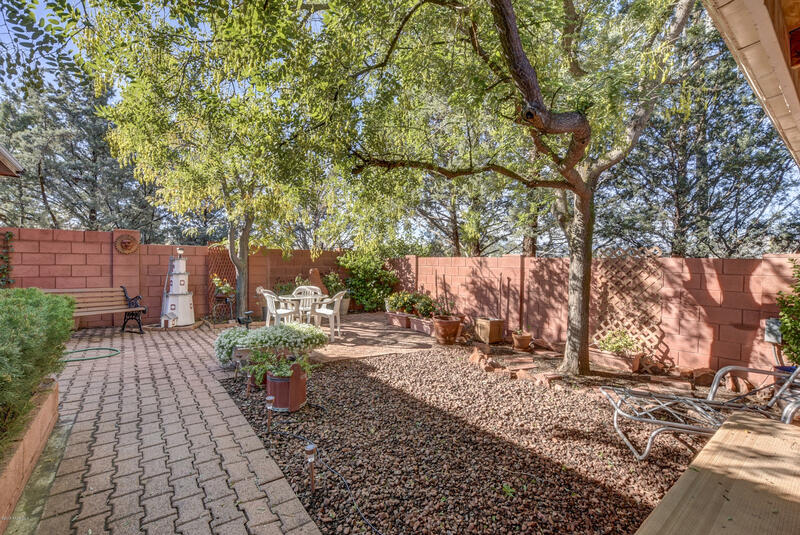 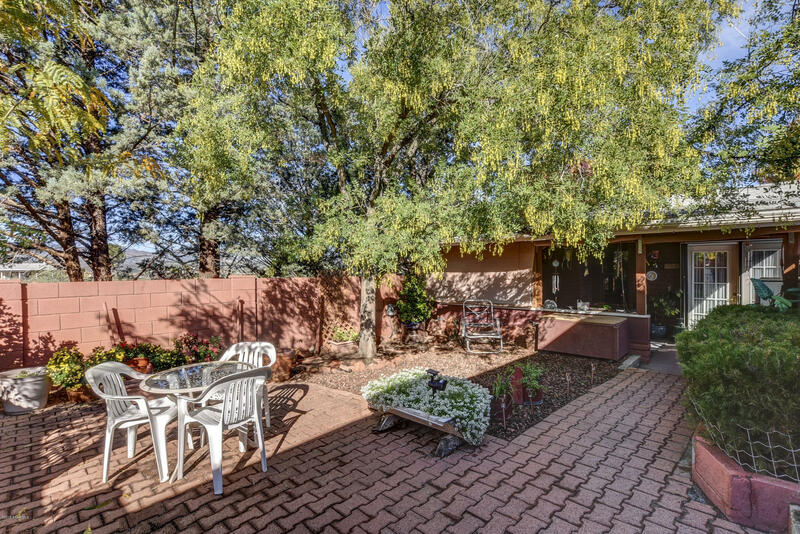 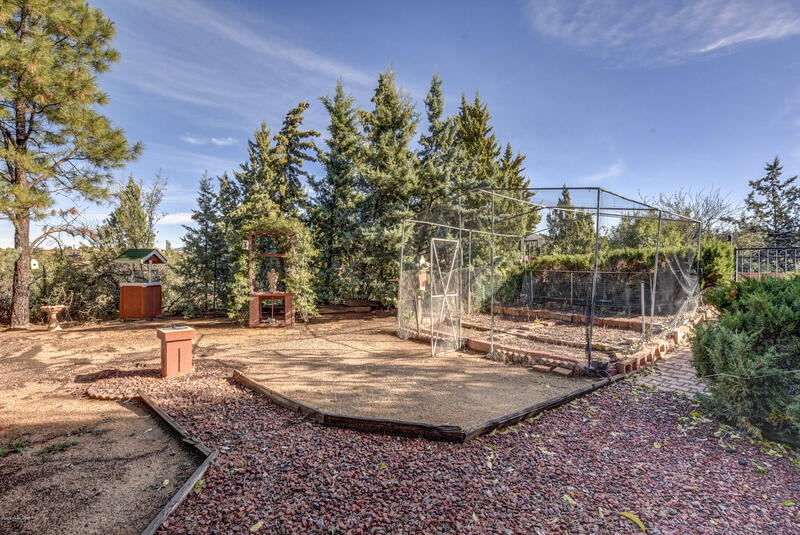 Back yard is amazing with a flagstone patio, a wood patio, garden beds, and lovely landscaping. 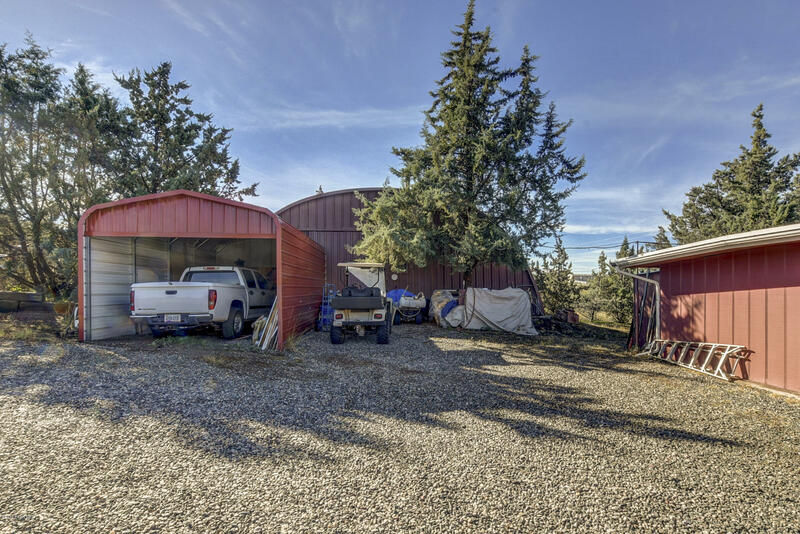 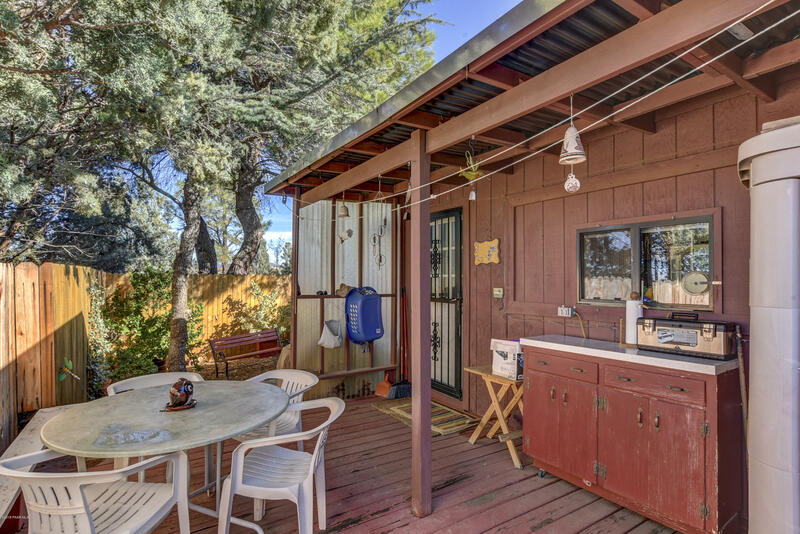 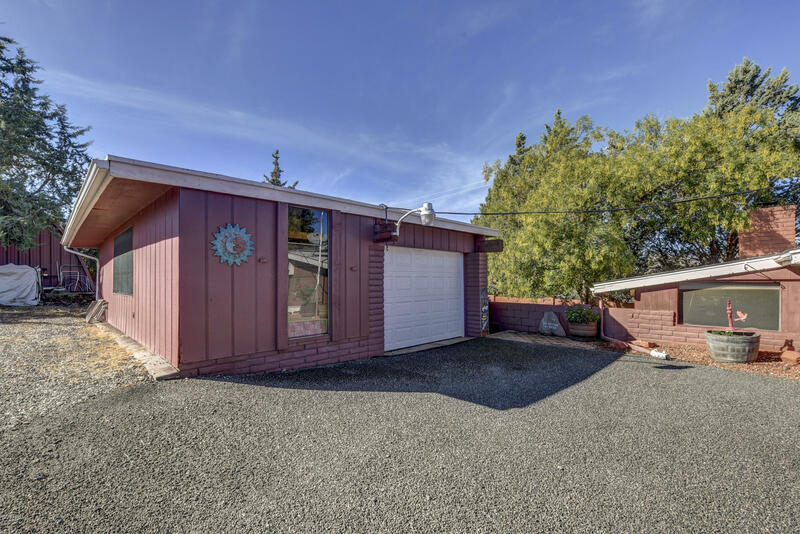 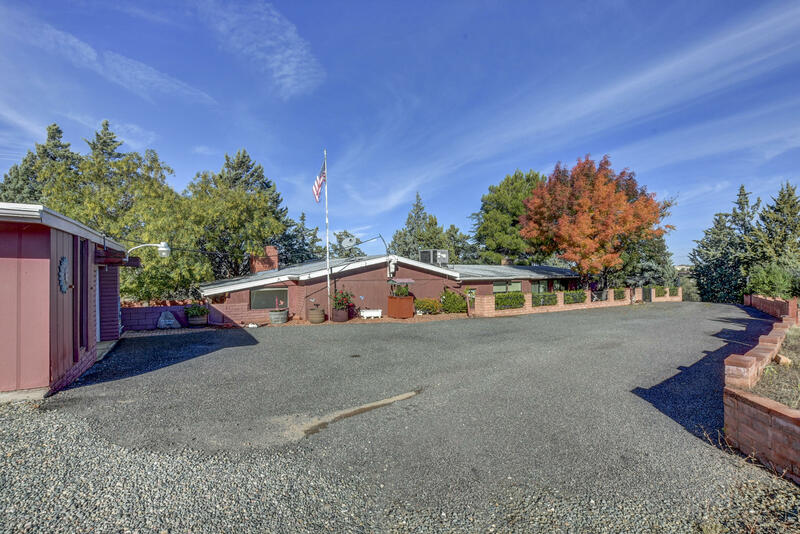 Detached one car garage with ample storage space, Quonset workshop for projects (220 service) or additional parking. 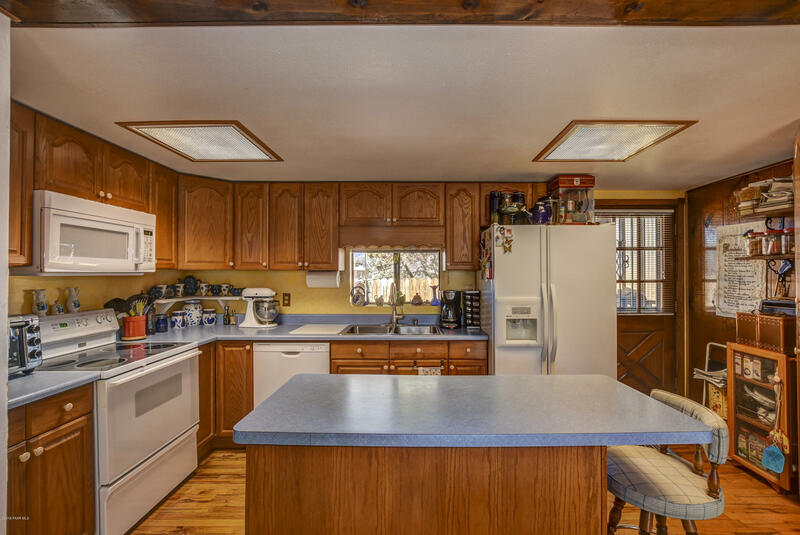 Home is being sold AS-IS. 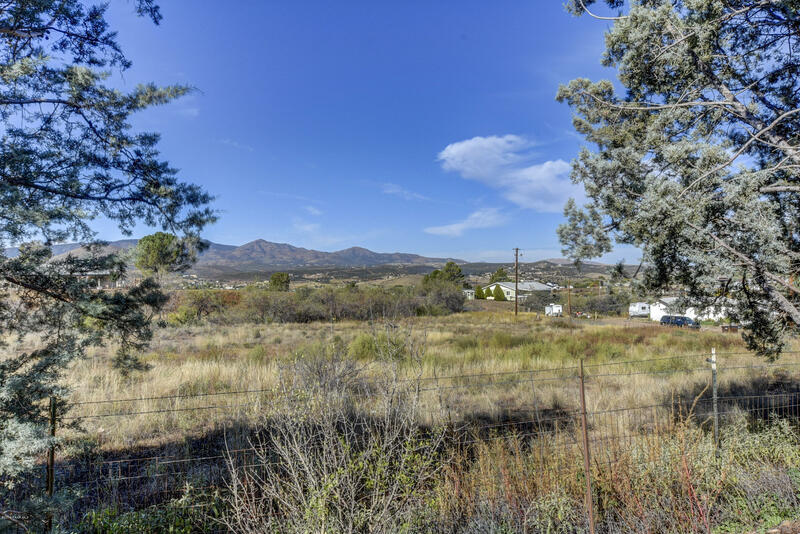 From Prescott, take AZ-69 S Turn left onto AZ-169 N. In 1.3mi, turn right onto Foothill Dr. 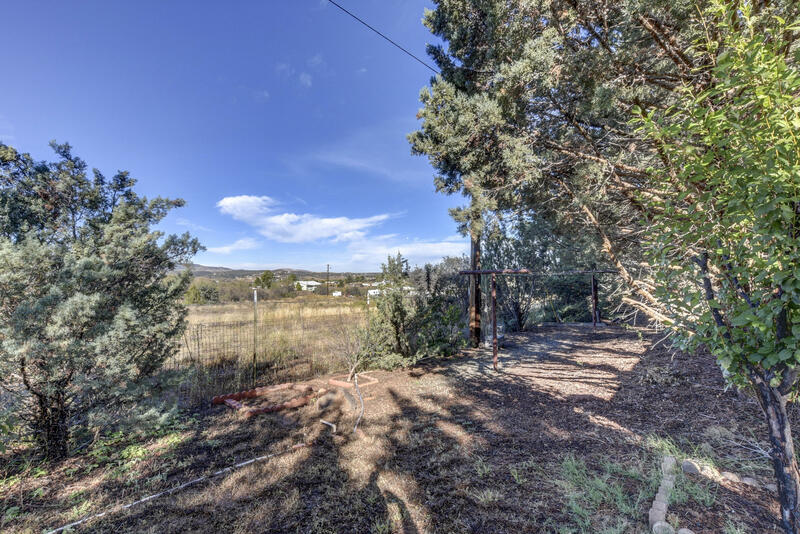 In 1.8mi, turn left onto Wagon Wheel Dr. Home is .3mi on right.